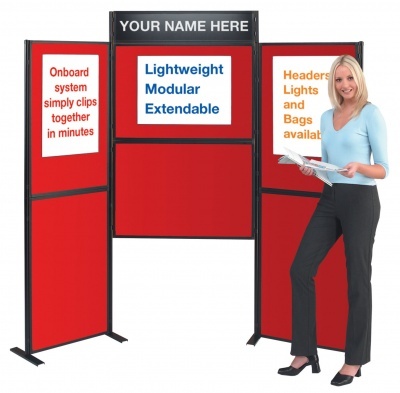 The OnBoard Range is a lightweight pole and panel system that, due to its modular design, enables the user to reconfigure and extend the display system to meet any future applications. 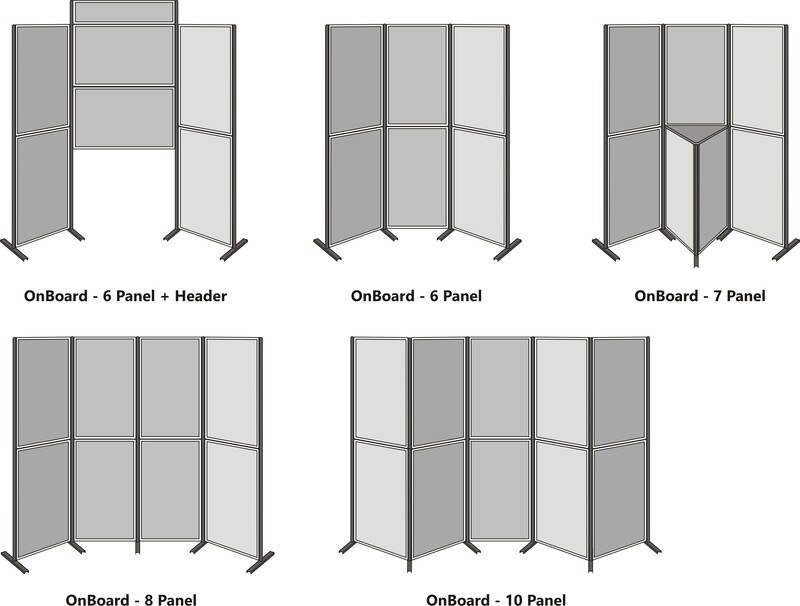 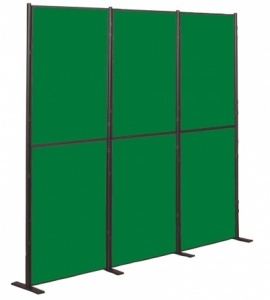 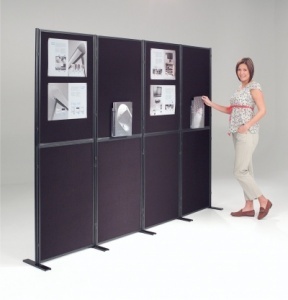 Standard 600 x 900mm display panels can be mounted both portrait or landscape on to the 1800mm high pole clips provided. The system can be extended at any point in the future by purchasing another kit to link on. Available with a black or grey PVC framework. 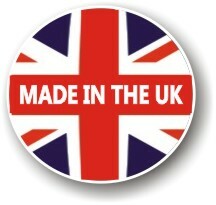 Available in a range of 14 loop nylon fabric finishes which accept Velcro and Pins.